Stunning Mid-Century Modern style home in the gated community of Escala in Inspirada. Open floor plan boasts stacking glass doors for indoor/outdoor living. The large backyard looks out onto a serene walking trail. Sleek tile flooring flows throughout the downstairs. 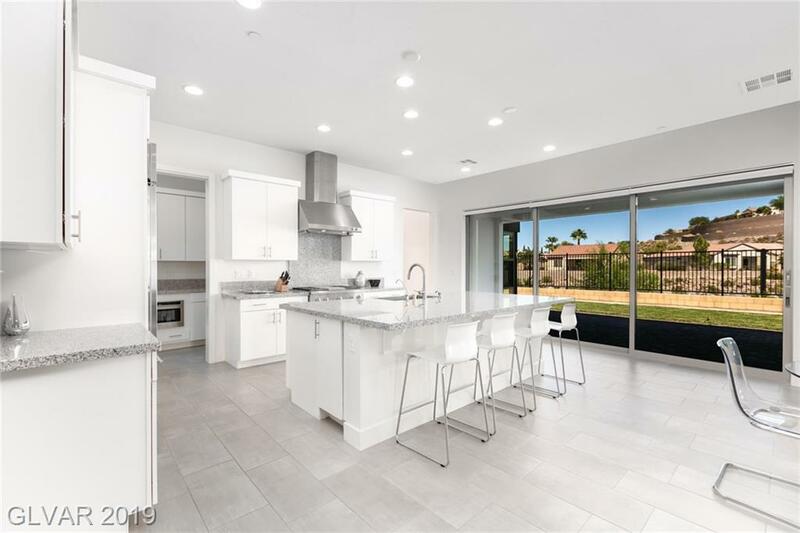 Expansive kitchen features Monogram appliances and granite island. Two-story Home lives like a one-story with a secluded downstairs master suite. Directions: South On Exec. Airport Dr, Continue Onto Via Inspirada, Via Inspirada Turns Slightly Left & Becomes Bicentennial Pkwy, L On Via Firenze, L On Pavilio Dr, R On Cartanda.